The Granola Chronicles: Green Blog? 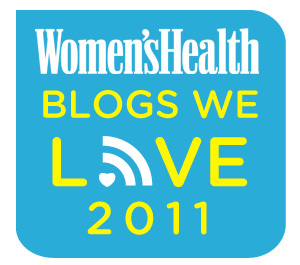 If you follow even just one healthy living blogger, I'm sure you've seen a call for nominations for the Women's Health blog contest. Fact: I know I don't have the biggest readership to even compete with most of those blogs under the genre of health, nutrition, fitness, etc. - I get that. But guess what! There is a GREEN genre! Hello, I profess my love for Community Supported Agriculture just about every day on this little blog and showcase local & organic produce in delicious recipes. And don't you remember that I grow my own herbs? I also have some super sweet green product giveaways and reviews lined up. My name is Courtney, and I was born and raised in rural Nebraska. After living on both coasts, I am back in The Good Life because I was made for the Midwest. I am a wife to a start-up engineer and mom to the cutest rescue dog ever. coffee, wine country, sweets!, reading, cooking, Sharpies, simplicity, snuggling with my rescue pup, the city by the bay, binge-watching TV shows on Netflix, post-it notes, making lists, cheese, backgammon, craft beer and Buzzfeed. salted cinnamon & sugar chex mix.